In this example we will see how to use the “QR Code” in the Grid. 1. To use “QR Code” in an application of Grid, we must access field settings that contains the information that will be read by QR Code, usually a redirect URL to a website. 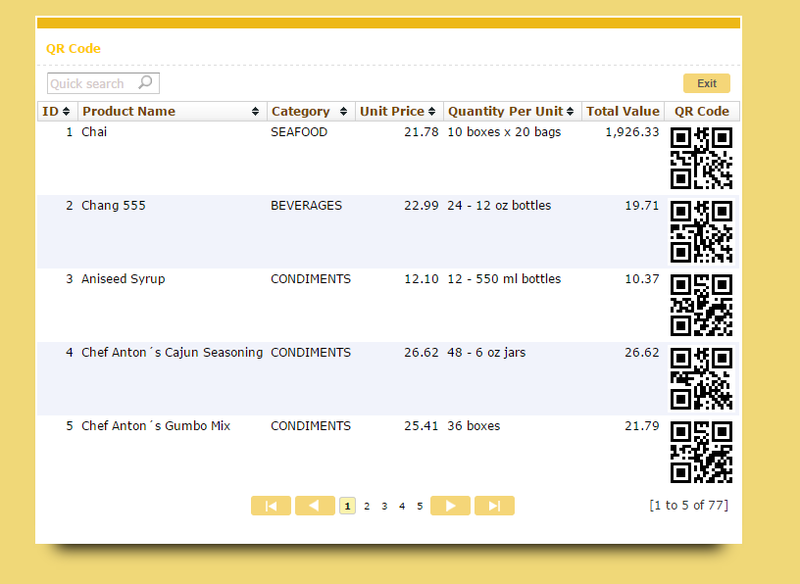 Select the type “QR Code” for the field. 2. 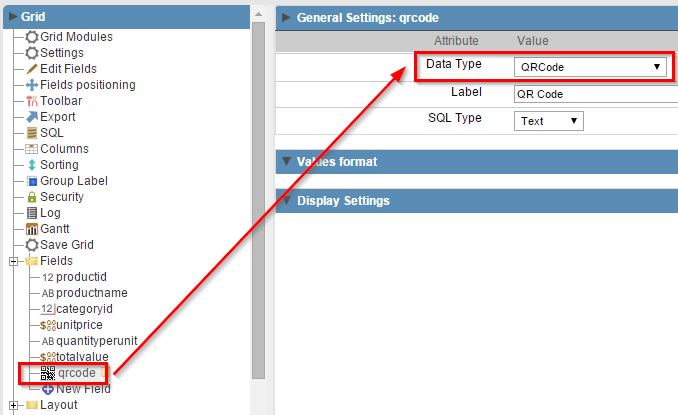 Even in the settings of the field, go to the tab “Formatting values” to set the size of the QR Code.